In following the tradition of his father who was a firefighter for 37 years, Chief Grimaldi began his EMS career in April 1990 with West Georgia Ambulance in Carrollton. 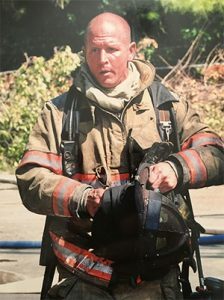 In 1993 Chief Grimaldi went to work at Grady EMS as a Paramedic and was a field preceptor for 5 years, before beginning his career with Clayton County Fire & Emergency Services in 1996 as a Paramedic/Firefighter. In 1996 Chief Grimaldi also began his career as a Flight Paramedic with Georgia Baptist Life Flight. 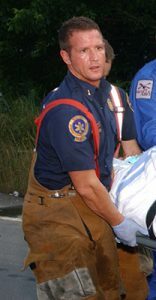 Chief Grimaldi was a Flight Paramedic in Georgia for over 17 years. Chief Grimaldi was promoted to Sergeant, Lieutenant, both Fire and EMS Captain, Battalion Chief, and promoted to Deputy Chief of EMS February 2017. 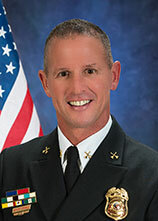 Chief Grimaldi accomplishments include receiving multiple awards in Trauma, Cardiac, Medical, Rescue, totaling over 25, Paramedic and Firefighter of the Year, 2 Region 3 Trauma Care in Excellence awards, Nights of Columbus Firefighter/EMS of the year, Haz Mat Tech, Certified Georgia Emergency Manager, National Registry as a Paramedic for over 22 years, and was assigned to the Presidential Detail 4 times. As Deputy Chief of EMS I have been tasked with a new division to include, Clayton County Mobile Integrated Health, 12 ALS Transport Units, 3 Community Care Units, Community Paramedic Program, CQI, Exposure Control Officer, EMS Cost Recovery, Protocols, and is the IDTN, STEMI and Stroke Coordinator.